Local sports without cable: How standoffs between cable companies and sports teams will change TV. Sports franchises have driven the entire cable business model. That’s about to change. The future of television could depend on them. 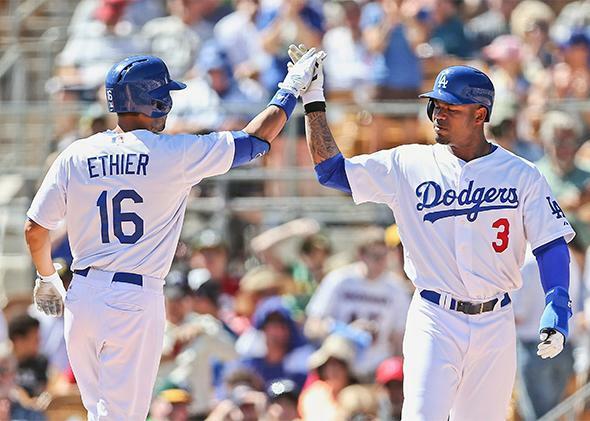 Whether or not you care passionately about baseball, you should care about the Los Angeles Dodgers. The future of television may depend on them, and on teams like them. Cable companies are betting that local sports will justify big price increases—and they may have overreached. Wars over the rights to local sports broadcasting are breaking out across the country, and their outcomes may bring the cable business model to its knees. Over the past 30 years, sports have driven the entire cable business model, and local sports have played a disproportionately big role. Landmark battles over the broadcasting rights to the Dodgers and other franchises—the Houston Astros and Rockets, the New York Knicks, and more—have created turmoil and increased service costs in the cable distribution model. Now cable providers are passing those costs onto you, the subscriber, whether you’re a sports fan or not. Before we get to the Dodgers, let’s state the obvious: Cable television is expensive, and getting more expensive every year. The average monthly cable bill in the U.S. climbed from $40 in 2001 to $86 in 2012. Market research firm NPD Group says it could go as high as $123 by next year, and north of $200 by 2020. Such a dramatic rise could place cable outside the reach of many U.S. households and force others to seek price-competitive alternatives. Cord-cutting, a trend already underway at a small scale, could go mainstream. In order to maintain their subscriber bases, cable providers will need to keep their costs under control. The History Channel costs roughly 22 cents per month [per subscriber]. ESPN, you might be wondering? That comes out to $5.13 per month. … The ESPN subscriber fee is more than CNN, MTV, FX, TBS, CNBC, AMC, Nickelodeon, Comedy Central, the Food Network, and the Discovery Channel … combined. ESPN is so pricey in part because it pays tens of billions of dollars to college and professional sports leagues for broadcasting rights. It recoups that investment by licensing to cable providers at a significant premium over the rates of most other networks. This model has proven extremely profitable for Disney, ESPN’s parent company. Cable providers have taken notice, searching for ways to create their own mini-ESPNs in the form of regional sports networks, which would create demand for their services in competitive territories. Local sports have served that purpose. Regional cable providers—offshoots of the big nationals—have been paying billions for the exclusive broadcasting rights to local teams. It’s a strategic calculation: ESPN won’t buy the rights because local investments aren’t scalable for its national business model. But local teams are still must-see TV, or so the thinking goes. They’ll drive demand for the regional providers who carry them. Which brings us to the Dodgers. Recently, Time Warner signed a deal with the team valued at over $7 billion. The partnership resulted in the creation of SportsNet LA, a channel jointly owned by Time Warner Cable and the Dodgers, which launched in late February. At the time of this writing, SportsNet LA is the only means by which viewers in Los Angeles, Hawaii, the Las Vegas Valley, and the Coachella Valley will be able to watch the team on TV. That’s because local cable providers such as Cox, Charter, AT&T U-Verse, and DirecTV refuse to pay Time Warner a licensing fee rumored to be $4 to $5, and possibly as high as $8 over time. (Remember that the fee for ESPN, a national network, is in the $5 range.) Time Warner, which won’t comment publicly on its licensing fee, but claims the number is less than $5, is holding out in the hopes that its competitors will come to the bargaining table. It won’t offer the Dodgers as a tiered or à la carte option for nonsubscribers because it wouldn’t be able to recoup its costs that way. So it’s locked in a stalemate with its peers. So far, no one’s budging. In an interview with the Los Angeles Times, Dish Network Executive Vice President David Shull stated his refusal to license SportsNet LA, saying he couldn’t justify passing the price onto his subscriber base. Time Warner believes Shull and his colleagues will cave, especially with the Dodgers season only weeks away and hotly anticipated. The Dodgers’ prospects for the 2014 season are better than they have been in years, and the team boasts popular superstars like Clayton Kershaw and Yasiel Puig. This year’s team may be a can’t-miss phenomenon for L.A. fans, and SportsNet LA is counting on it. Back in 2012, Time Warner found itself on the opposite side of a similar battle: It was the only major cable operator in the state of New York to refuse to pay the Madison Square Garden Co., owner of the Knicks, a hefty fee for the basketball team’s TV rights. After Time Warner dropped MSG from its lineup, the season turned into catnip for Knicks fans thanks to Jeremy Lin. Pressure from fans missing out on “Linsanity,” coupled with the direct involvement of Gov. Andrew Cuomo, brought both sides to the bargaining table after a 48-day standoff, and subscribers got their games back. An even messier dispute has been playing out in Houston for close to a decade, as cable providers grapple with the Rockets and the Astros over broadcasting fees. A network called Comcast SportsNet Houston, launched in 2012 after a $1 billion deal with the two teams, filed recently for Chapter 11 bankruptcy protection. The Rockets, the Astros, and a byzantine web of third parties have filed more than $60 million in claims against the network for unpaid fees over the past three months. Meanwhile, the Astros oppose the Chapter 11 filing and have appealed the case to U.S. District Judge Lynn Hughes. This confusing and ongoing saga has left millions of sports fans in Houston and adjacent regions without TV coverage of their teams. There will be more battles to come. Stalemates over licensing fees will lock out millions of fans. Rising costs will be passed onto everyone. The economics of national cable will be harder to maintain without further price hikes, a fundamental rethinking of premium tiers, or concessions to à la carte pricing and service models. Something’s got to give. I predict we’ll see a great unbundling in the coming years. Perhaps a distant second- or third-place provider in a competitive region will experiment by offering nonsports packages at deep discounts. If it works, other providers will follow suit with their own low-priced packages. At the same time, sports will remain a big draw, and sports-focused tiers will sell at a premium. In the long run, your cable bill will likely depend more directly on your viewing habits. If you’re a sports junkie, you’ll pay more to get your fix. If you’re not, you’re a prime candidate for dropping cable altogether. Whether cable companies care to retain you will depend on their ability to serve you profitably; if they can’t—or won’t—someone else will. (Google, with its Fiber broadband service, seems poised to compete here.) You won’t have more control over what you pay. But you’ll have more control over what you’re paying for.